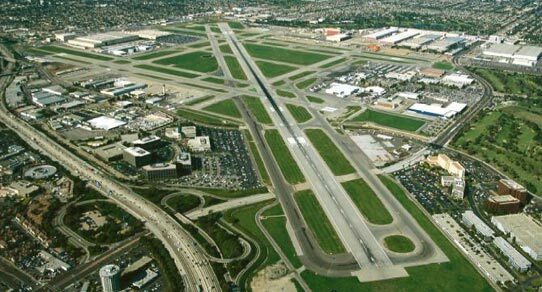 Located in close proximity to Los Angeles and Orange Counties, Long Beach Airport is a very diverse facility with over 370,000 annual aircraft operations. LGB proudly represents the greater Long Beach area by facilitating a balance of all the aviation industry and user groups. 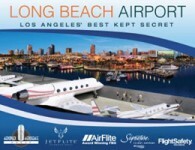 Including private general aviation aircraft, business aircraft, passenger and cargo airlines, helicopters, banner towing, manufacturing, government, law enforcement and world renowned Fixed Base Operators… and even airships… Long Beach is southern California’s most balanced airport. 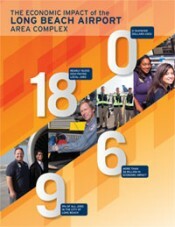 Founded in 1947, the Long Beach Airport Association (LBAA) represents more than 18,000 employees and 200 diverse businesses at Long Beach Airport. These include several premier fixed-base operators and specialty aviation service companies; Gulfstream Aerospace aircraft service centers; the Boeing Company; and nearly 100 acres of mid-rise business park, hotel and educational uses. Located in close proximity to Los Angeles and Orange Counties, Long Beach Airport is a busy and diverse facility with over 370,000 annual aircraft operations. It currently serves about three million commercial airline passengers annually, offering direct flights throughout the U.S. with domestic and international connections. LBAA membership allows you to keep updated on the latest news, activities and policies affecting your business and operations. Founded in 1947, the non-profit membership organization revitalizes board to promote balanced economic development and expanded marketing efforts. (Long Beach, Calif. – May 15, 2014) The Long Beach Airport Association (LBAA)—a collaboration of Long Beach Airport businesses, private aircraft owners and community supporters—has launched a powerful effort to promote business diversity and preserve aviation as a vital contributor to the Southern California economy.